It is generally impossible to separate Brown's rhetoric from sincere belief and this is no exception. 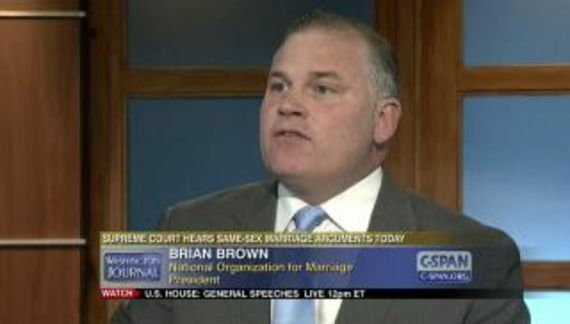 It is clear that Brown was hoping for a license to discriminate. Nevertheless there is nothing that Trump could have done that would have any effect on state and municipal nondiscrimination laws. The couple bakers, the florist and the photographer that we have been hearing about for eight years have run afoul of local law, not the federal government. Will you make an immediate financial contribution today to help us ramp up pressure on President Trump and the Department of Justice to do what he swore he would do — protect the religious liberty of people of faith? Exactly what does NOM propose to do? Indeed, precisely what does NOM do day-to-day? It seems to this observer that NOM exists to beg for money to continue to exist so that they can beg for more money.